Latest Department for Transport data indicates that 1.8% of vehicles on UK roads were unlicensed in 2017 – up from 1.4% in 2015. The data suggests the cost the Treasury is more than £107m in potential lost revenue over a full year – 1.7% of the total due and higher than in any year since 2007. This compares to the Treasury’s original estimate that abolishing the paper tax disc would save £10m. 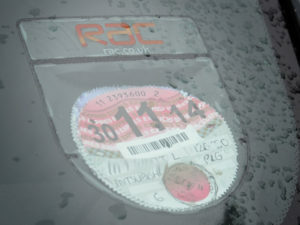 In response, the RAC has called for increased driver education about how and when to tax vehicles, coupled with stronger enforcement. Earlier this month the DVLA launched a new ‘Tax it or lose it’ campaign warning of the dangers of not taxing vehicles as it warned that it is currently clamping or impounding around 10,000 untaxed cars every month.